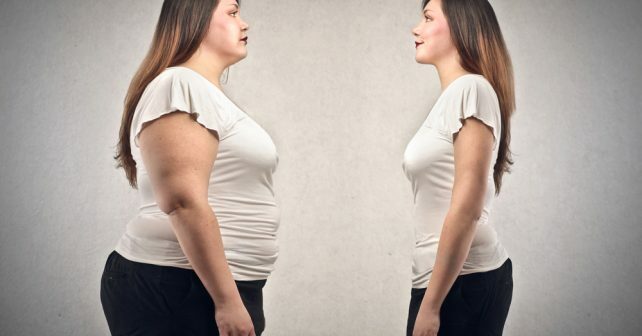 Why do women gain weight fast? The most common question I get from women is about the rapid weight gain we experience. It’s no secret that women struggle with weight more than men do. At times, it may seem unfair since being fit and slim are expected more from women than men. Women are generally smaller in stature than men. That means that there’s less muscle that needs to be fueled, fewer muscles to build, and less energy expended. All of these contribute to a woman’s slower metabolism. That’s why the excess energy (calories) we take is likely to be converted into our fat stores. It’s no secret. Women crave – and it’s not just about simply craving, it’s the kind of food we crave for. Chocolates, cakes, cookies – it’s just about the nastiest thing that you could eat to get you fat fast. Women crave more than men. Men deal with craving a lot easier than us women. About 1/3 of women between the ages of 50-60 are in the overweight-obese range. This is largely due to the decline in estrogen levels, which also controls body weight. Not only that, a decrease in estrogen levels would also lower the metabolic rate. If that’s not enough, the lack of estrogen also causes your body to be inefficient in using starches and blood sugar, which, if not used, would be converted to fat. It’s no secret that pregnancy increases body weight, especially after childbirth. It’s largely because of human instinct to stock up on energy to have enough to share with your child. Although breastfeeding burns up calories, the maternal instinct to consume more food to convert into food for her newborn causes women to accumulate fat, which remains long after childbirth. Simply put, men are built to have a more active lifestyle. Women aren’t, and yet our diet remains the same. That’s why it’s faster for our bodies to store fat because our lifestyle isn’t suit to burn the amount of energy that we are consuming through food. If you notice the trend, the most common reason why women gain weight faster is because of the buildup of fat. We can’t expend energy faster than we accumulate it, and that’s why it gets converted into fat. Regulating fat buildup is achievable through proper nutrition and exercise. After having my first child, I had struggled to achieve my pre-pregnancy size. It’s no easy road, but it’s achievable. I did my research and tried several products to work my way back to my pre-pregnancy body, but very few were able to help me get back on track. I figured out that women should treat fat-burning differently than men. We have a different anatomy, and that’s why it would be helpful for us to take on weight loss from a different angle. Men get more fat-burning benefits from nutrients that speed up their metabolism, since their body is built for that. We women, on the other hand, would greatly benefit from inhibiting the enzyme that creates fat stores in our body. I found out that the best fat-burning supplements with high-grade Garcinia Cambogia, like Garcinia X could help us lose fat faster than other supplements targeted to increase metabolism. Garcinia X contains HCA, which inhibits citric lyase, the enzyme that creates fat in your body. The HCA in Garcinia X also acts as an appetite suppressant, which gives us women an advantage in maintaining a healthy diet. Gaining weight is normal. Not acting on it makes you gain more weight. All you need is a simple fitness regimen to help you slim down Don’t feel down because you’ve gained weight; just start getting back on track. Because every slim and fit gal you see on the gym that got to where she is, had to begin where she was.